Budgeting is a brilliant skill to master. It gives you freedom, savings and security. Many of us, however, simply don’t know how to create a budget. But that’s all about to change thanks to Open Colleges’ accounting student Tammy Pahl, who this month has created a simple and easy-to-use budgeting guide. 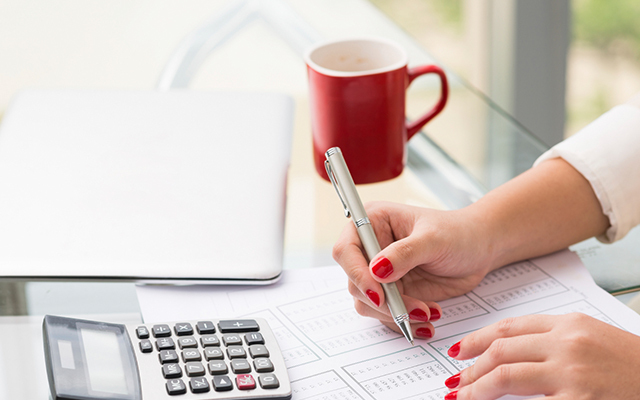 So if you want to get on top of your finances, read on for the insiders scoop on budgeting! Have you ever watched a bird take flight? It is a picture of complete freedom and stability. Think of budgeting as a bit like a bird in flight. Having a budget gives you stability by helping you to take control of your life. It rids you of debt, builds savings, and just like the bird, it gives you the freedom to take flight in your life and soar toward whatever goals you have in mind. Whether it is to save money to or to get out debt, the aim of a budget is the same: to ensure your expenses are less than your income. Re-frame your attitude towards budgeting, after all, it is not all doom and gloom. In fact, it can actually be quite fun. When you sit down with your computer or your pen and paper to write your budget, put on some music. If you have a partner get them up to help as well – budgeting involves both of you and it shouldn’t be left on one person’s shoulders. Avoiding looking at your money situation will never make things better. Trust me. The sooner you know where your money has been spent, the sooner you can start taking active steps to fix your financial situation. Download or create a 12 month spreadsheet where you can record all your expenses over the last 12 months. Work month by month, inputting your expenses for January, then February, then March, etc. By looking at your last 12 months you can grasp the bigger picture of your overall finances. You can see exactly where your money has gone, including all those little costs every day that really add up, and those sneaky charges that you may not realise that you are incurring from banks, etc. You can also get a good idea of when your bigger expenses occur and can set in place future plans to cover them. For example, my electricity bill is always higher in winter. I now pay a monthly amount throughout the season to cover the account so it isn’t such a big shock and expense. Gather your bank statements, loan statements, credit card statements, boxes of receipts, etc. and start, month by month, entering the money you have spent over the last year. This gathering information stage can be time consuming. When I made time to do my big budget, I set aside one hour per week and entered in as much information as I could in that time. After one hour I would stop and save the rest for the following week. So if you find the process daunting, you could simply break it up, like I did, into small, manageable chunks. Stage 2: What do you owe? On the same budget spreadsheet create a space to input all your current debts. These could include credit card bills, loans, fines, etc. Categorise these debts by their urgency. What needs to be paid first? Work out how much per month you can pay on these outstanding bills. If you are struggling, or are behind in your payments, your best bet is to phone the companies you are in debt to. Let them know your situation and see what kind of payment plan they can offer you. You will find with a lot of companies are very willing to help with plans as long as you make the effort and approach them. Once you have set up payment plans, enter these details into your spreadsheet and set up automatic deductions from your bank account which fall on the dates that you get paid. If you find the bills unmanageable, and want to reduce further costs, you may want to shop around for different insurance and utilities providers, or contact your bank about your mortgage payments. Pick one avenue to investigate each month and take small steps. You should also include a column in your budget for savings. Treat this as another bill. Money needs a place to go, send it to a savings account! Create a new row/column each month in your spreadsheet and add in your income per month. After each month, have a look at how your income compares to your expenses. Write a list of everything that you need to pay/buy that is important for you and your family. What are you not willing to compromise on? What expenses are non-negotiable? Could they include nutritious food, self-care, family outings, pay TV? Narrow it down. Allow yourself to dream. If you had all the money in the world what would you do? What is important for you and your family? Do you want adventures to far flung places? Do you want to renovate your home? Retire early? Own your own business? These dreams will become the financial goals that you will work towards. Have a look at your 12 month spending spreadsheet, your savings goals and the non-negotiable items. 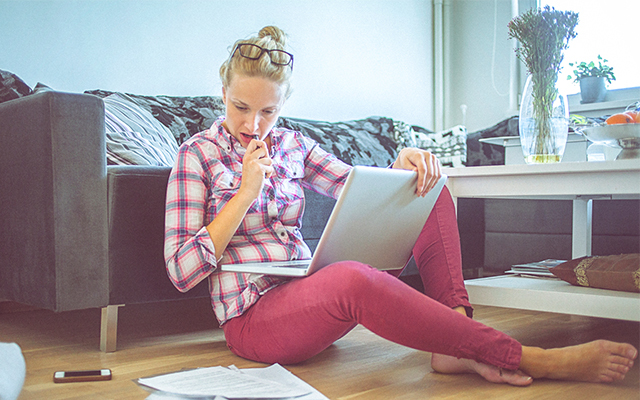 From your list of expenses, work out where you can cut back. Could you perhaps visit the library and borrow books instead of buying them? Can you cut back on entertainment expenses by Googling free activities in your local area? Could you ride your bike instead of driving, or would public transport save you some money? Can you cut back on gym membership and food expenses by building your very own vegetable garden? It’s amazing the workout carting rubble, digging, planting and harvesting can give you. Not to mention all the fantastic food! Instead of always eating out when you get out and about, could you pack a picnic using food from your garden/fridge? Instead of forking out for the movies, could you plan outdoor adventures like a nice walk? You never know what you might find, what you might hear, what conversations you might have with your children! All these small things can have a flow on effect to our stress levels and in turn, on our health, which leads to less money spent on doctor’s visits and medication! Where can you live a little bit simpler? All these small steps do add up. Now you know where your money has been going and where you can cut back, as well as exactly what money you need to set aside for bills, and exactly how much income you have, you can plan your next monthly budget. To do this, open up a brand new spreadsheet (you can use the same template that you did to track your expenses). Save it on your computer under the upcoming month, for example July 2016. Next, pop in your expected earnings for the month, as well the figure you need/want to spend on each area (rent, bills, food, entertainment, etc). Have a look to check that your expenses are not more than your income. If they are, where can you cut back? It is also a really good practice to budget a little bit to save every month. This could be as little as $5 or it could be $1,000. Whatever you have to spare, save. This will help give you a feeling of security, will create a great habit, and will help you move toward your dreams. Do this before the start of each month so you can get a hold of your finances leading into each new chapter of the year. Step 7: Make more money! We’d all love a bit of extra cash, so when you’re doing your budget it’s also a great time to ask yourself ‘how can I create more money?’. Pay rise: are you receiving what you are truly worth? Could you hold a garage sale and get rid of all the things you own but simply never use? Can you sell things on eBay or Gumtree? Put any extra money towards your smallest debt first. It feels good to cross them off the list, doesn’t it! You can pay your bills by setting up automatic payments in online banking set to coincide with pay dates, or you can set aside a time every week, fortnight or month to manually pay your debts. When you do pay your bills, smile. Show your appreciation for the service or goods that you have gotten for your money. Warmth for your family, food, etc. Set up a system for storing your receipts, bills paid and bank statements so they are easy to find when needed. Review your budget monthly. Change it when your circumstances change. Treat it as a living, breathing pet. Before you purchase clothing, toys, or entertainment items ask yourself ‘does this add value to my life?’. Be compassionate and kind with yourself as you journey along this path, especially in the early months. Habits don’t change overnight. It takes time. Expenses should be less than your income. 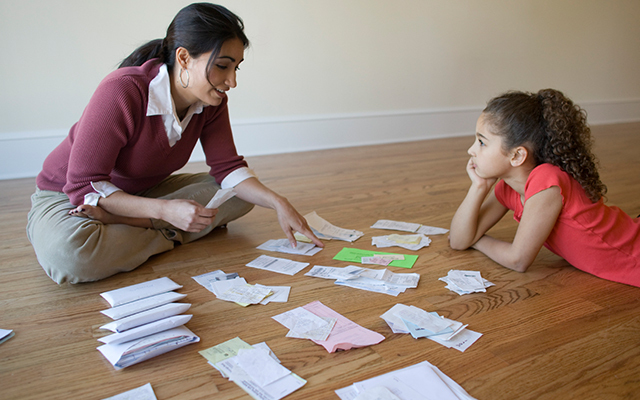 If you have a partner or children, include them in your budgeting preparation. It will make sure you are all on the same page, and can help your children develop great money skills early in life. If you’re really struggling, ask for help from a bookkeeper, accountant, or budget specialist. Sometimes someone removed from your situation can see clearer solutions. No matter what your income, it is empowering to know where you spend your money, why and when, and then where you would like it to go. Having a budget provides a framework for you to make informed choices. Having a choice is empowering. Budget like the birds: Stability. Balance. Freedom. Have you ever considered accounting or bookkeeping as a career? Open Colleges has a number of online accounting courses, to give you the knowledge and skills you need to turn your interest into a lucrative vocation.